Okay you guys, I am SO excited that Jess over at The Newly has decided to host a linkup to do weekly confessions. These posts are always so fun to both read and write, and I can’t wait to see what all of the ladies joining in have to dish out this week! Young mama’s and 20-somethings have a lot on their plates, and a good ole sesh fest is sometimes exactly what the doctor ordered. I hate the cold. Hate, hate, hate it. This week has been in the single digits with blustery winds, and I literally can’t deal. I think the reason February is the shortest month of the year is because it feels like the longest month of the year. No one likes you, February. I feel way more pregnant at 25 weeks this time than I did last time. Looking at pictures, I really don’t think I am much bigger when comparing, but little man has been giving me ninja kicks in the right side ribs already, my bladder control went out the window somewhere around week 3, and my center of gravity is gone and putting on my boots is now a dangerous activity. Sigh. I have been eating terribly lately. I have had some excuses, like a work conference where all meals are catered/eaten out, the super bowl, and it being winter where all I want is comfort food, but still. I do my best to keep it under control and don’t indulge TOO much, but you better believe I indulge. I drink pop this pregnancy. I know, I know. Terrible. I try to stick to caffeine free when I can, but one definite craving I have had over the past six months is for a cold, fizzy diet pepsi. And when it strikes, it strikes hard. I never fed Jackson any caffeine while pregnant, and the kid still doesn’t sleep at night, so honestly I just don’t really care. I am Catholic and yesterday was the first day of Lent, where we are supposed to give something up until Easter. Selfishly, I don’t know if I’m going to. I have given up my body to growing another human being, which means giving up alcohol, sleeping comfortably, and fitting into 90% of my clothes. I think that is all sacrifice enough. I am ruining the mattress on the crib because I lay next to Jackson when he wakes up in the middle of the night, and then usually fall asleep for an hour before waking up and going back to bed. It literally is starting to sink in the middle. Woops. I still do not get the whole Lilly Pulitzer thing. To you ladies that love it, more power to you, but the style, prices, and patterns just constantly having me scratching my head trying to figure out ‘why‘. I am practicing major self control to keep myself from buying all of the fun, new spring clothing hitting stores, because realistically I know I won’t be able to wear any of it until at least April, and then I will be huge. Speaking of purchases, as a post baby body comeback motivation gift, I bought a new swimsuit the other week. It showed up on my social media feed, and was only ten dollars, so I am super skeptical of the quality. And, I have no foreseeable reason to wear a swimsuit. But I will rock that new bikini this summer, with a baby on each hip. This week marks the return of Grey’s Anatomy and The Walking Dead and I could not. be. more. excited. Finally, weekly TV shows to look forward to are back!! I drank caffeine my entire pregnancy, but I kept it under the limit (by far) and my girls are good to go. No shame in your game. I am not a big Lilly fan either. I see some pieces and like them, but it's not really my thing. I am practicing self control on buying clothes and cute things because I need to save, save, save for vacations, surgeries and my kids. 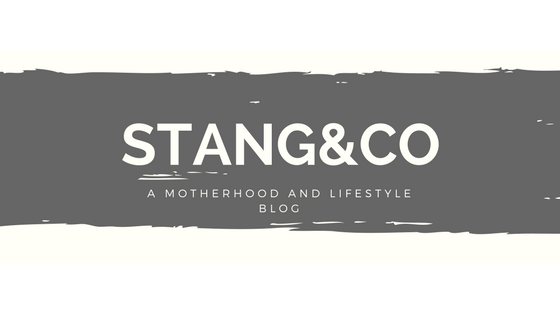 So happy I found your blog through the link up. I do not blame you one bit for not giving anything up for Lent. Last year, I was breastfeeding so I gave myself a break and the previous year I was pregnant and like you said, thats enough of a sacrifice 🙂 Also, I craved Dr. Pepper my entire pregnancy and probably drank 1-2 a day so you go head with that soda girl. I gave up soda for Lent this year and I'm already dying for it! I think being pregnant is plenty sacrifice for lent! The no caffeine thing is seriously what I worry about the most when that day comes for me, I run off coffee! Props to you for making it all 9 months! I hear you on giving something up, your body isn't yours right now. Maybe, if you want, take something spiritual on, like a devotion or prayer journal. Just a thought. I do not understand the price points for Lilly, just doesn't make sense. I drank Coke (sometimes caffeine free, sometimes not) every single day when I was pregnant with my daughter. I was constantly nauseous and it was the only thing that would settle my stomach. I'm with you on Lilly Pulitzer. The patterns are so pretty, but nothing I would wear. And it's all so overpriced. And I am so excited for both Grey's and TWD – I've missed them both! I drank a LOT of ginger ale the first trimester because it made my stomach feel so much better! Now it gives me heartburn or I'd probably still be drinking it, ha! Can't wait for February to be over, too – by far the worst month of the year! I had a diet coke almost everyday of my second pregnancy…he's a little wild, but I think that's just him 😉 Ha! And I totally agree on LP. I want to like it but most of the time I think it looks like they're wrapped in a vera bradley purse. So glad I found your blog through the linkup! I had Diet Coke almost everyday with all 3 of my pregnancies, lol! I cannot stand Lily Pulitzer, so I am right there with ya, just don't get it. And amen to this cold weather crap. Hate it. I'm with you on the cold. I am, however, totally one of those Lilly psychos… My daughter is named Lilly, if that gives you any indication. First, it's really a Southern thing. I love everything LP because it's bright and cheery and I legitimately love the prints. It makes me feel happy and resort-y every day of the year! Plus I genuinely think the quality is superb — I've had so many boutique and Anthropologie type clothes that have come apart at seams or worn through super quickly, or the zipper doesn't work well, or whatever fill-in-the-blank quality control things not up to par. My Lilly items always have great fasteners/zippers/etc, the fabrics feel nicer (even their Luxletic printed workout crops are SUPER soft/comfortable/dreamy! ), and they make timeless silhouettes so I can wear them forever. I still try to buy everything on sale or get items as gifts rather than spending beaucoups myself and I'm pretty picky about what I get (I'll fall in love and dwell over it for a long time before I necessarily pull the trigger), but I'm dressed happiest when I'm wearing SOMETHING Lilly! (Plus, you don't really need much else when you're wearing something that bright and bold. Just add simple pearl studs, my wedding band set, a pair of white jeans, and metallic sandals (or boots in winter — brr) — easy mom (or working girl or date night or church goer or party animal or you-name-it) uniform. AAAAAND lots of their silhouettes work for pregnancy!!!!!! I wore the heck out of a maxi dress, two Elsa tops, my Skipper popover, and a beach coverup tunic literally until the day my water broke. And now I can wear them too!! Now, where on earth did you find a $10 swimsuit?! You'll have to keep us posted if you like it!! !